Also, it's been well over a year since my last anti-smoking idea. How have you people let me go on this long without indulging my preachy righteousness? Hmmm, this has me thinking, maybe the cigarette is not so much as the victim of this punishment, but rather the device inflicting the punishment. 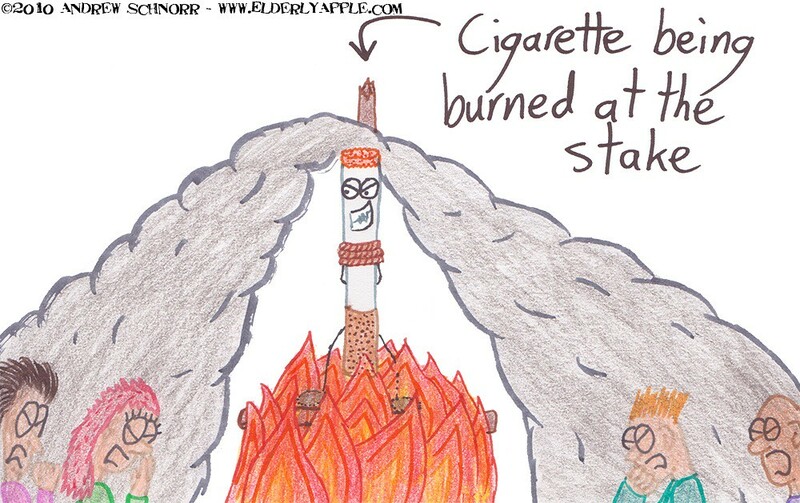 I mean, the cigarette's only doing what a cigarette does, burn...and give people a hearty dose of carcinogens. the sharpened teeth are a nice touch.